Nori Day Plus is formulated for skin whitening and offers SPF 35 protection to help buffer your skin against damage and premature aging by the sun’s UV rays. Aqua, Niacinamide, C12-15 Alkyl Benzoate, Caprylic/Capric Triglyceride, Titanium Dioxide, Cetyl Alcohol, Cetearyl Alcohol, Diethylamino Hydroxybenzoyl Hexyl Benzoate, Ethylhexyl Methoxycinnamate, Butyl Methoxydibenzoylmethane, Butylene Glycol, Octocrylene, Ceteareth-20, Ethylhexyl Methoxycrylene, Xanthan Gum, Methylparaben, Dimethicone, Fragrance, Phospholipids, Tromethamine, Allantoin, Hydroxyethyl Urea, Sodium Citrate, Sodium Hyaluronate, Panthenol, Propylparaben, Disodium EDTA,Aluminum Hydroxide, Tocopheryl Acetate, Pentylene Glycol, Dimethicone/Methicone Copolymer, Hydroxyphenyl Propamidobenzoic Acid, Phenoxyethano. 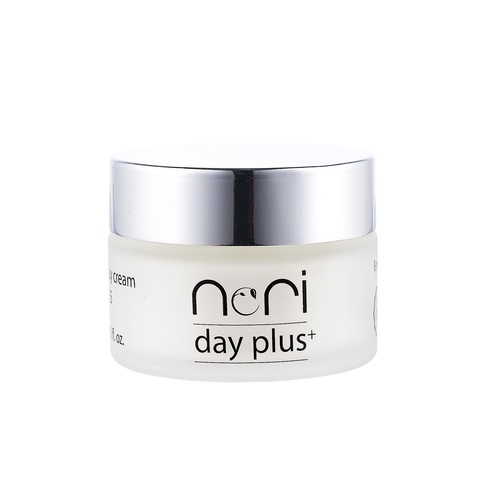 Apply nori Day Plus Whitening Day Cream gently over face and neck twice daily, after cleansing.